I’m not sure why this film is as underrated as it is. This is an amazing, depressing and in many ways brilliant film based on the Richard Matheson classic novel “I Am Legend”. 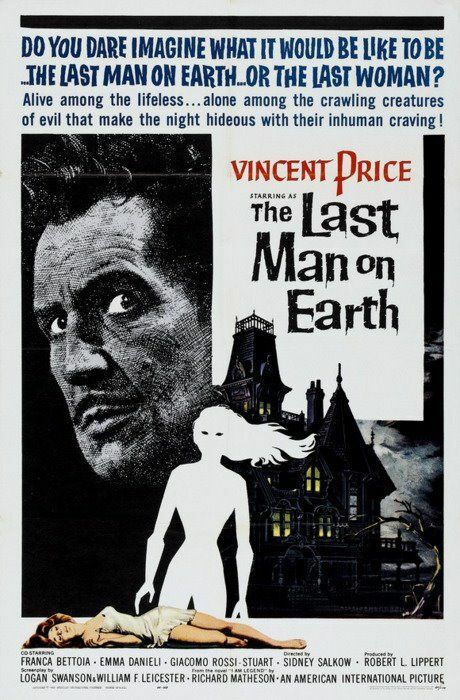 Vincent Price effectively conveys the terror and despair of being the last living man on an Earth that is now overrun with vampires and/or zombies. The depiction of Price’s day to day bleak existence is a moving and powerful thing to behold and the continual menace of the hordes of zombies is creepy in the same way as was later depicted in “Night of the Living Dead”. In fact, as noted by others here, one can not watch the scenes where the zombies lay siege to Price’s boarded up house and attack his car without recognizing how close these scenes would later be copied by George Romero in his classic zombie films. If you are a fan of horror film history or just looking for a classic and unique film with an interesting story, track down this lost gem.